As the tech giants face growing scrutiny over their unregulated political power – including the power to swing elections – they have assured both congress and the public that they have no plans to abuse that power, and will commit to greater transparency in order to do so. That’s to be expected. No corporation, accused of wrongdoing, is going to stand up and admit it. If Google and Facebook intend to manipulate the flow of information to serve their own interests and biases, the last thing they’re going to do is tell the world about it. Instead, they’ll deploy their efforts under deceptive slogans like “fighting fake news” and “protecting election integrity.” And that’s exactly what they’re doing. To expose the deception, watch what they do when confronted with a proposal that would ensure they are subject to real transparency and oversight. Say, for example, a program that could detect when Facebook or Google bias their algorithms in favor of a particular political candidate. As it happens, such a program is already under construction. The effort is led by Dr. Robert Epstein, a psychologist whose research has exposed the dramatic effect that search engine manipulation can have on electoral politics. The last piece of research from his research institute showed that the manipulation of search suggestions could alter the opinions of undecided voters by almost 80 percent. Epstein is now working to ensure that Google can’t engage in such manipulation without detection. It’s not as simple as monitoring search results for bias. Search results delivered by Google are personalized, differing from one user to the next. They also change rapidly depending on new information entering the system. To detect bias across Google, Epstein explains, you have to “look over the shoulder” of large numbers of Google users, analyzing those personalized search results. Epstein proposes that the same might be done for Facebook users, which would allow his team to detect if, say, Facebook is sending more “get-out-the-vote” messages to Democrats than Republicans. Epstein’s system is complex, with many layers of secrecy and anonymity to ensure Google and Facebook do not work out whose search results are being analyzed. Chillingly, Epstein discovered that participants in his early experiments who communicated to his team via gmail were observed to have “eerily unbiased” search results — almost as if Google knew their users were being monitored, and took steps to ensure nothing looked amiss. Epstein explains the full details of his plan in a piece for Hackernoon. But the bottom line is this — if successful, it would ensure that Google and Facebook are subject to real transparency. Any attempt on their part to manipulate opinion or voter turnout in favor of a particular party or candidate would be detected. You would think that the tech giants, having assured congress and the American public of their good intentions, would be eager to subject themselves to such transparency, and will spare no effort in assisting Epstein’s project. That hasn’t happened, of course. Epstein says he received only “cursory, uninformative replies” when he has reached out to Google in the past. 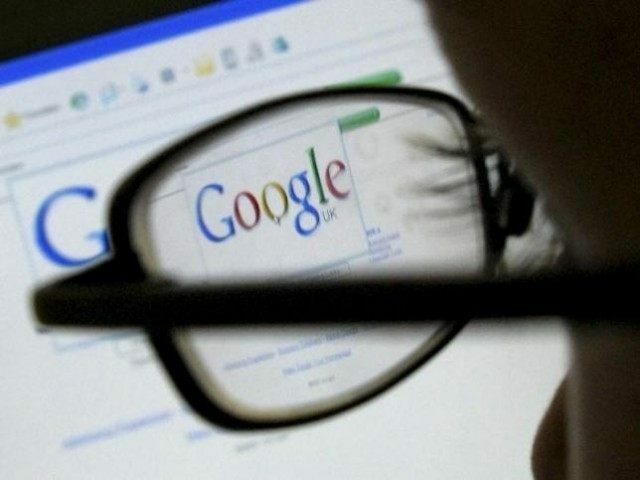 Google has even accused Epstein – a lifelong political moderate and the former editor-in-chief of Psychology Today – of trafficking in “poorly constructed conspiracy theories”. This is further evidence that the establishment are using “conspiracy theory” much like they use “fake news” — as a rhetorical weapon to discredit any information they don’t like. Nevertheless, Epstein is concerned that Google might have “deliberately interfered” in his research, by making the results of Gmail-using research participants less biased than participants that Google was unable to detect. Facebook, which has not been the main focus of Epstein’s research, has yet to comment on it. But don’t hold your breath. Like Google, their proclaimed commitment to “transparency” is severely limited. They won’t even tell us how many accounts they accidentally ban and then restore, or how many conservative accounts are suspended vs. liberal accounts. Epstein says he intends to “quantify Facebook’s manipulative impact” in the future. Dr. Epstein has presented the Masters of the Universe with a very simple method to quell suspicion of political manipulation on their part. Unless they actually want to engage in political manipulation, it’s hard to imagine why they wouldn’t embrace it.